It does seem to disappear throughout the day, particularly in my T zone it just kind of fades away. I feel like I would have to reapply this if I had a long day, which is a bit of a faff. If you have any dry patches this can stick to them from time to time, which I discovered during my recent mega dry skin spell. 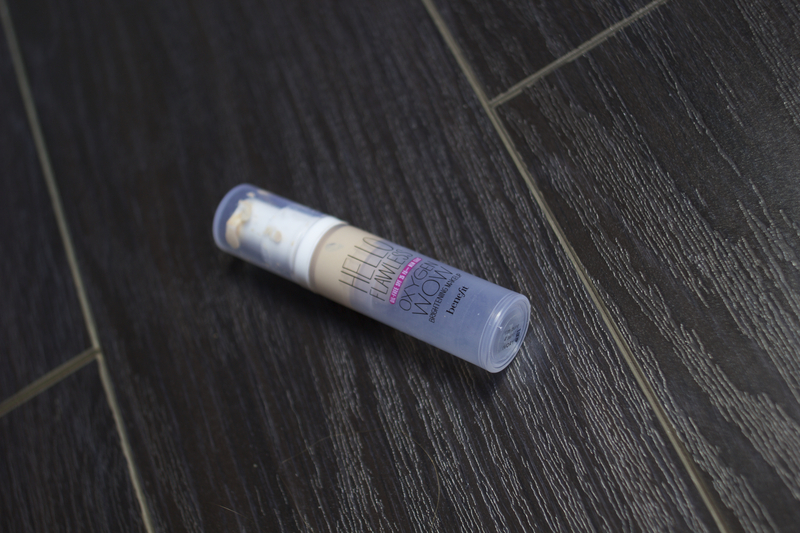 Overall I do quite like this foundation, it is nice and lightweight which is good for the day time. I have enjoyed using this small bottle however I don’t think I would pay £26.50 for the full price as I do prefer my Chanel Vitalumiere Aqua to this for the day time and I have hardly any faults with that. No apologies for the small bottle needed. I would rather read a review of someone who uses a lot of the product and really knows how it works on the skin rather than someone who just bought it. Thank you for the review! It seems like it would be good for combo skin since it is oil free, yet brightening! Maybe you should try their cream to powder formula in that line. My sis loves it. Ooh I will have to check it out! It’s a shame really as I do love most of benefits products but this was a little bit average really! I’m always on that hunt! I think I may have found it in the form of Charlotte Tilbury Wonder Glow! Ah, this is my all time favorite! It gives great coverage, though I would agree it does wear off throughout the day which is a bummer. Yes I can definitely see that. I find when I set it with the matching powder it helps a lot! Great review 💫 Do u use a benefit concealer? I have a small sample of Boi-Ing at the moment and I’ve used their erase paste in the past 🙂 thank you!